We start with 28 of our natural hard maple Beka blocks and dip the end of 8 of the blocks into a colored liquid latex. The result is an attractive, colorful block that also has an interesting rubbery feel. 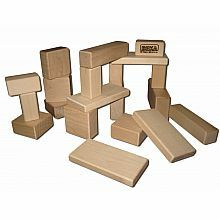 The latex adds a texture that helps with block building and has created a very unique & beautiful block set! 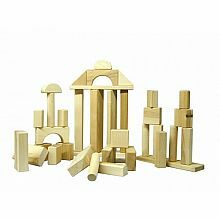 6 - 1/2 units, 2 - units, 6 - 1/2 pillars, 4 - pillars, 2 - double pillars, 4 - columns, 1 - roman arch, 1 - 1/2 circle and 2 - small triangles. 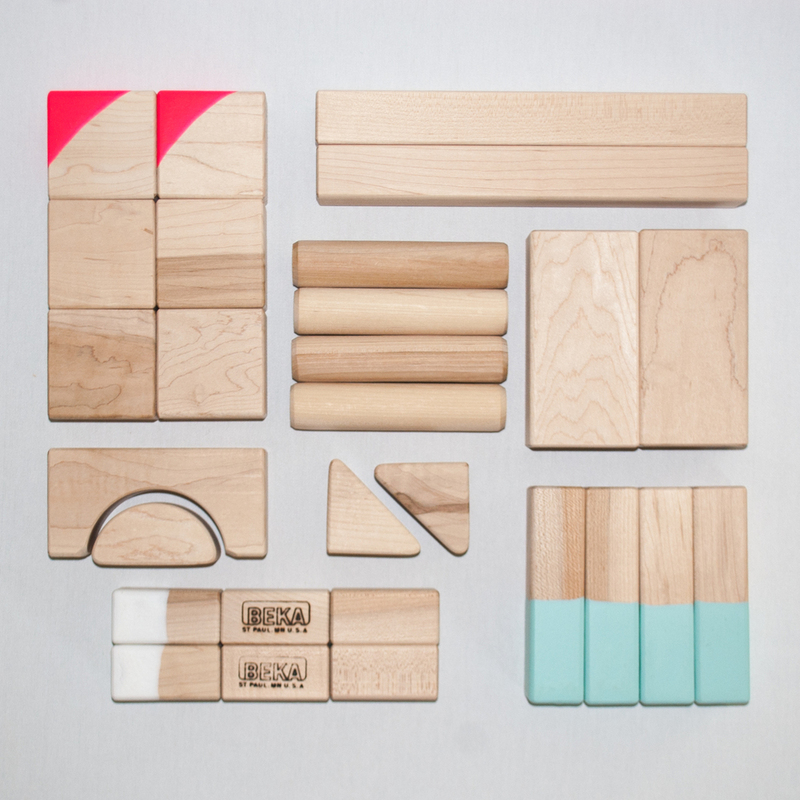 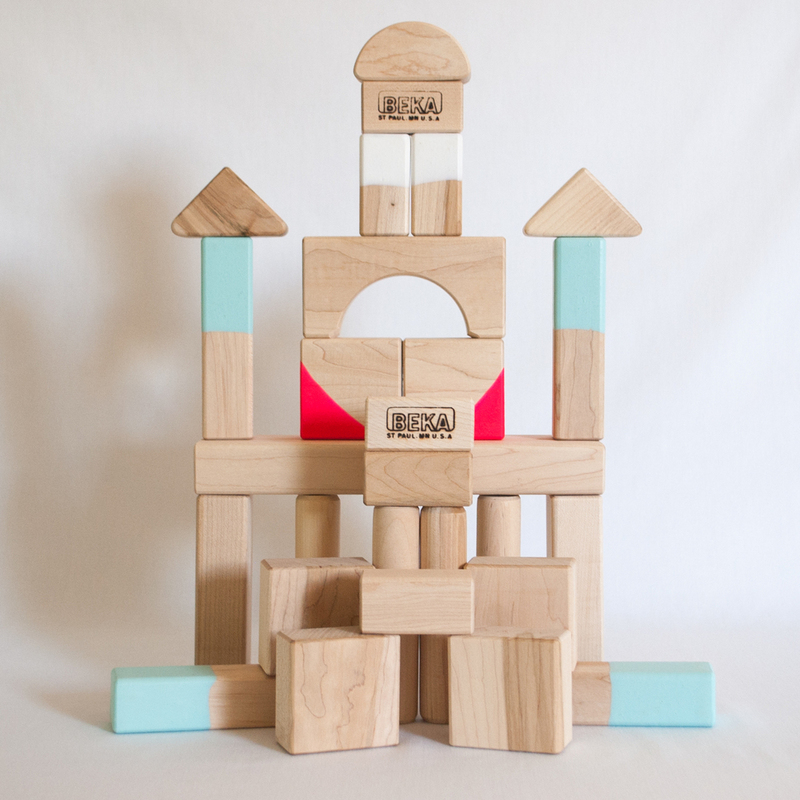 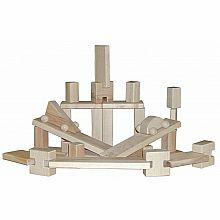 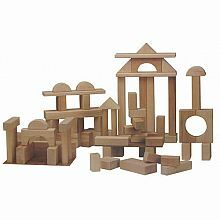 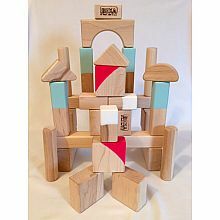 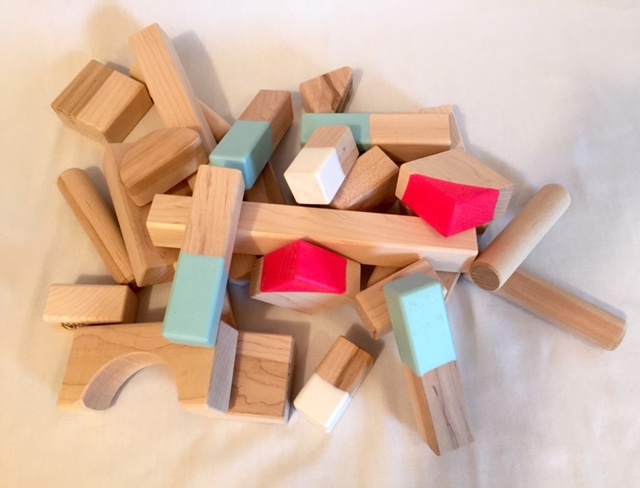 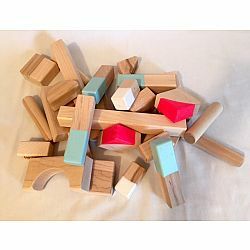 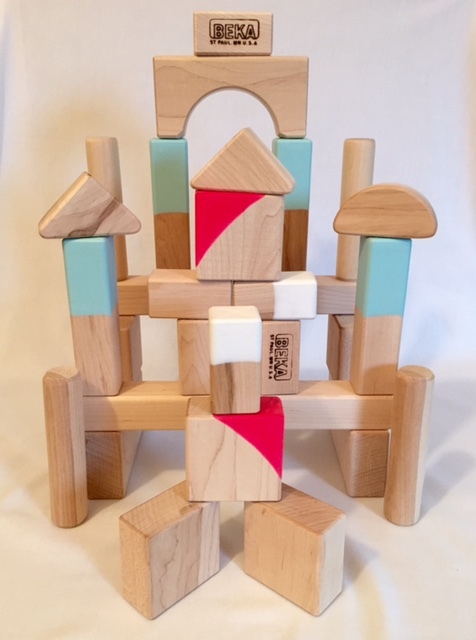 These 28 hard maple unit blocks provide a great introduction to block play, all based on fractions or multiples of the traditional unit block dimension of 1-3/8 x 2-3/4 x 5-1/2. 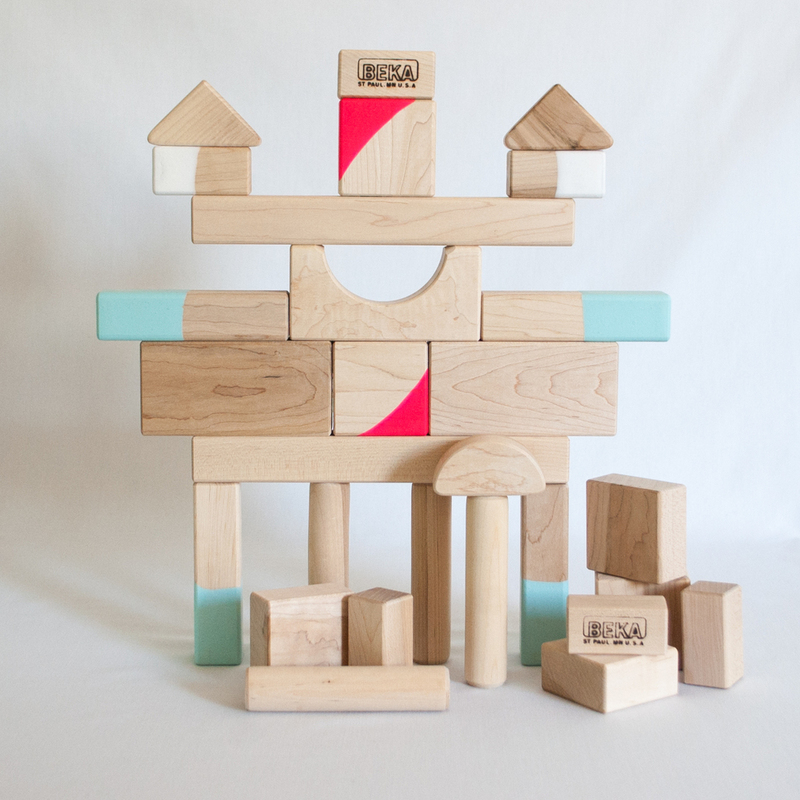 Dipped Blocks: 2 - 1/2 units (hot pink), 2 - 1/2 pillars (white) and 4 - pillars (glacier blue).